It's a good day, but a better day is coming. 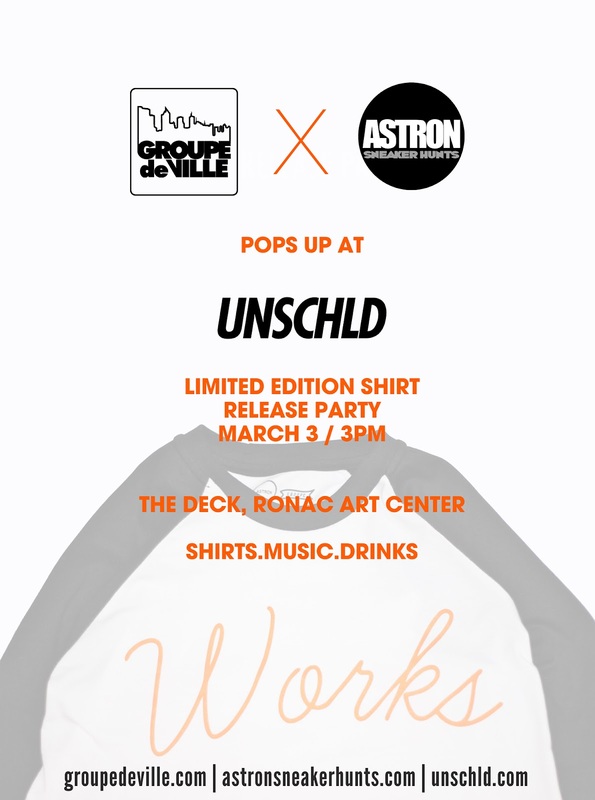 On March 3, 2012, with Groupe de Ville, we will release our collaboration shirt at UNSCHLD's flagship store, at The Deck, Ronac Art Center, Ortigas Ave. cor. Santolan Road, San Juan, Metro Manila, Philippines. Selling of the shirt will start by 3pm, but you can go as early as you want to get first dibs, because our stocks for that day will be very limited. Also, we will be raffling free Vans sneakers on the release, so if you don't need to be anywhere else until 6pm, I encourage you to stay. All who will buy the shirt are the only ones who will have the chance to win free pairs of shoes. A pair for a girl and another for a guy. So I'm also encouraging all my female readers to drop by and buy a shirt, you just might bring home fresh new Vans sneakers with your Astron x Groupe shirt. Hope to see you guys there! 6pm will be the announcing of the winners of the free pairs of Vans. We will only give away the free pairs to those who will be there by that time. As of now, I think I will be giving away Vans Vault Surf pairs. I think you guys would not want to miss that. Detailed photos of the shirt after the break. OH WOW!!!! Parang gawa ni Patta..